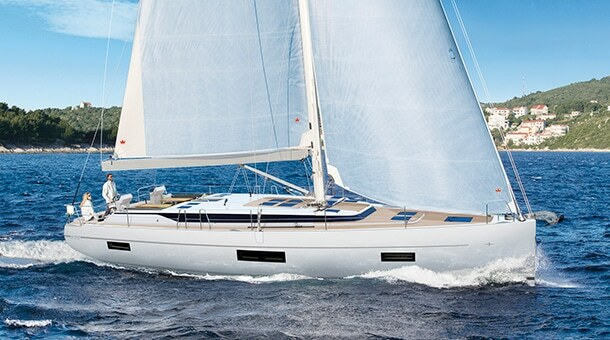 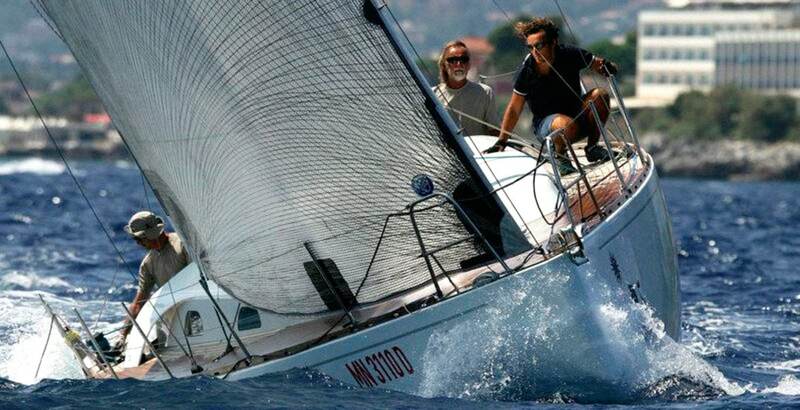 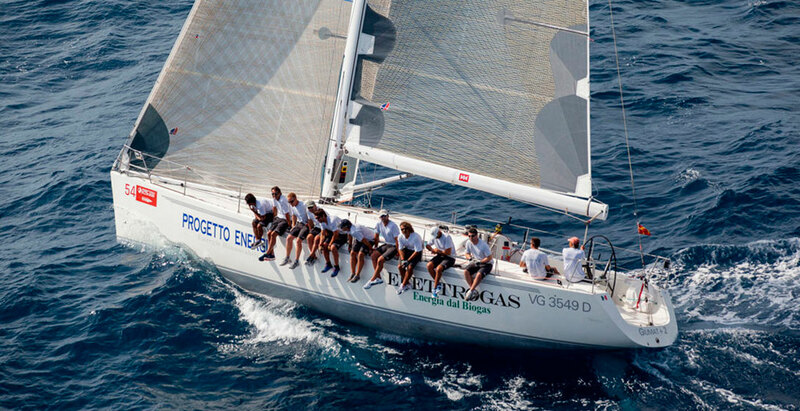 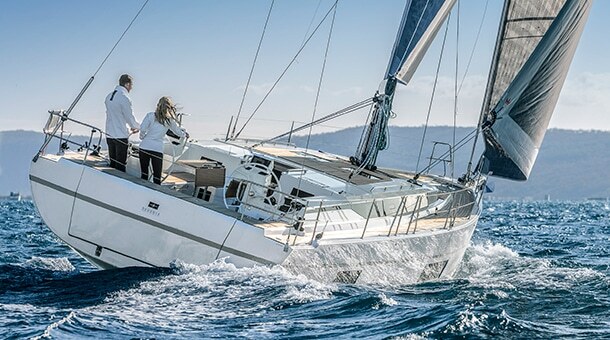 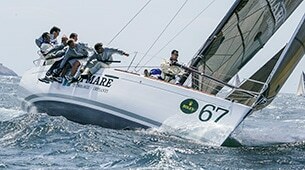 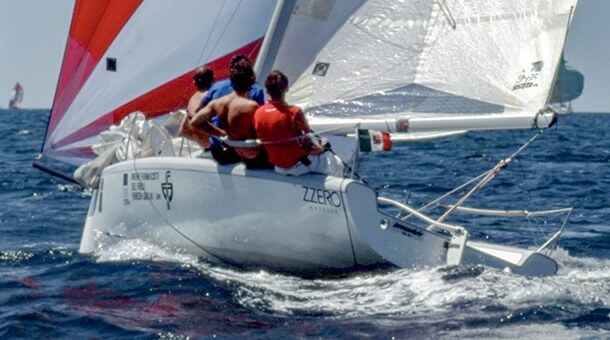 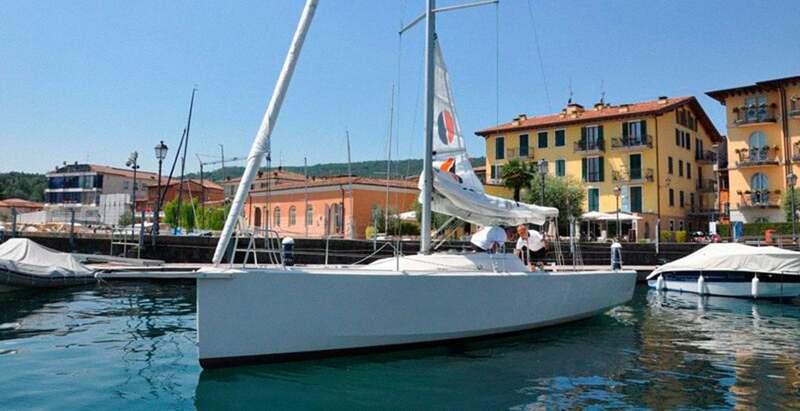 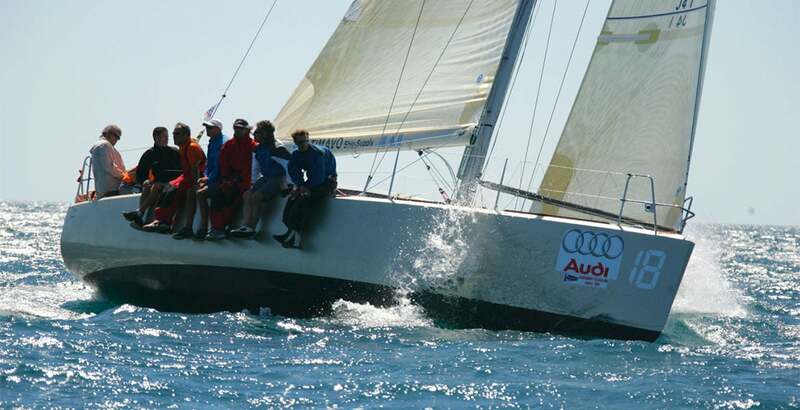 The idea of the Feet 30 was introduced to us by Francesco “Ciospo” Allegri and Giovanni Rosti, with the aim of building a small vessel with the right quality-price ratio, suitable for all sailors who were looking for a high performance boat, with which race on equal terms in tight one design class. 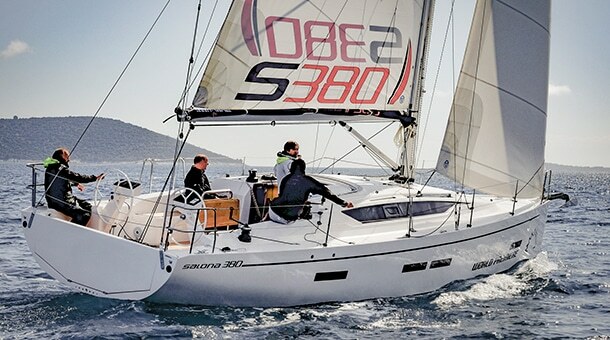 The Feet 30 is a fun, safe, reliable boat with a remarkable internal habitability. 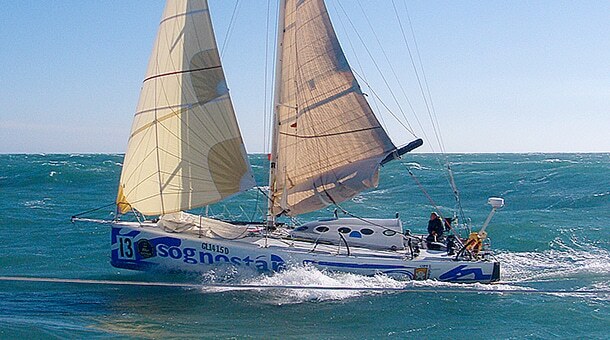 She is a dry boat also in big waves, with a deck stepped mast and a bowsprit. 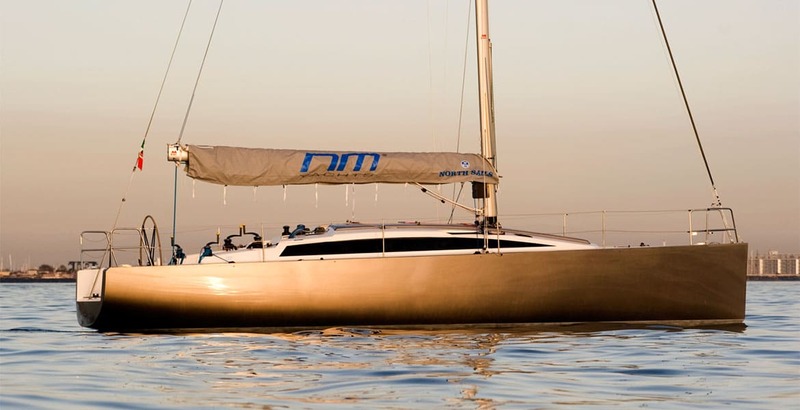 She was the first boat designed by our Studio with a chined hull, allowing for a less wetted and more slippery shape but maximizing internal volumes. 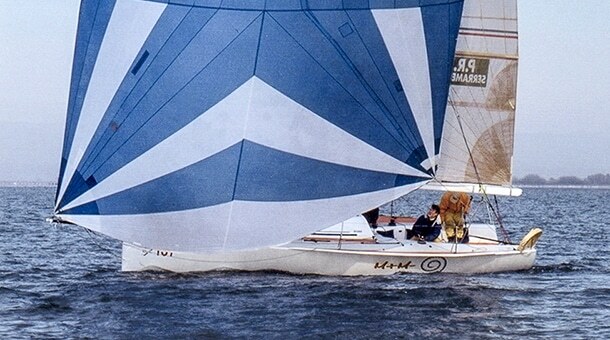 Hull, deck and internal structures are built in sandwich of glass over closed cells PVC, impregnated by vinylester resin, using the vacuum technique at controlled temperature. 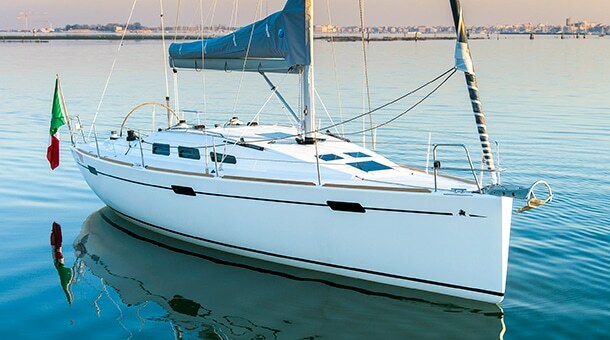 The assembly of hull and deck is made by vacuum bonding. 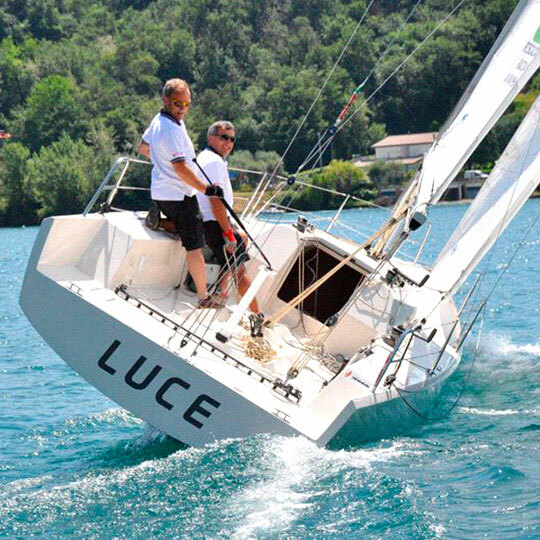 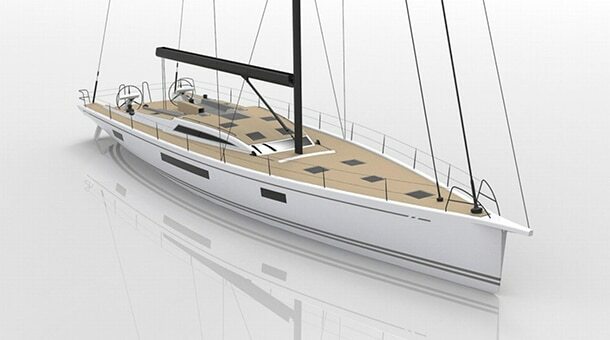 The keel is built with a high resistance Weldox steel core is laminated with external airing supporting the bulb casted in antimonate lead. 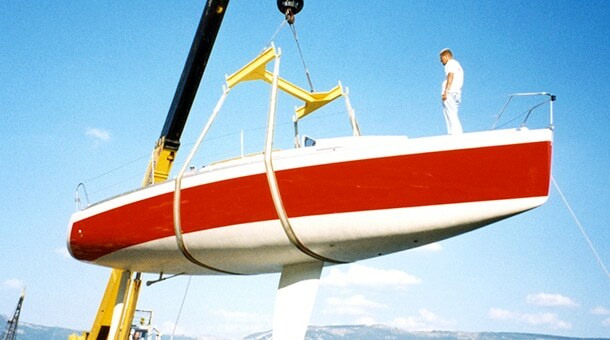 The Same technique has been used for the rudder with high strength stainless steel axis and vacuum GRP laminated blade. 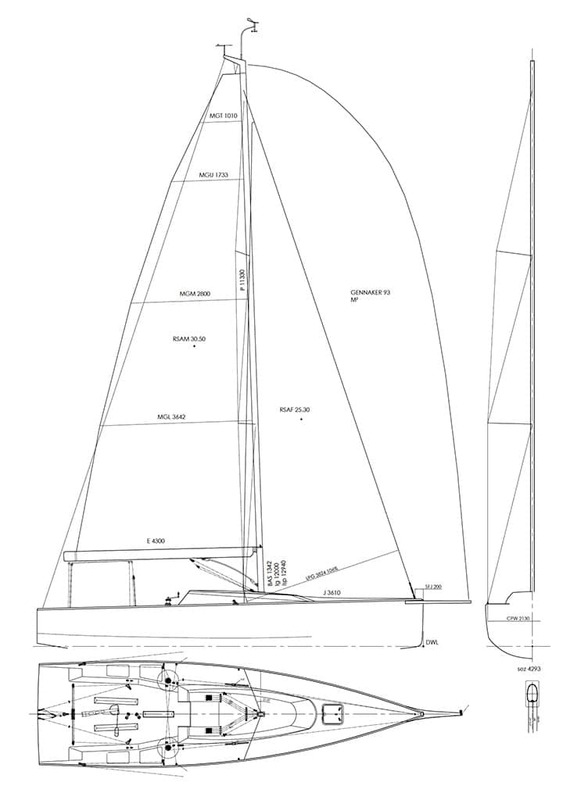 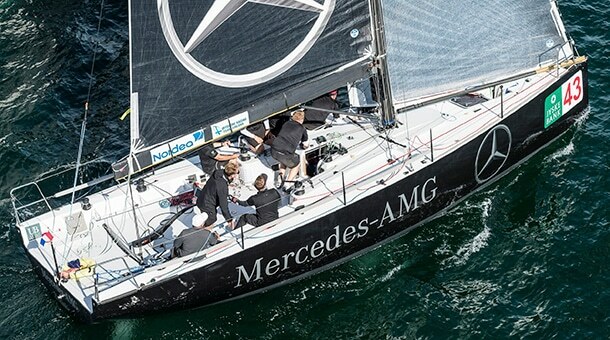 Mast is in aluminum, not tapered to reduce costs, with two pairs of swept back spreaders; racing aluminum boom with rectangular section. 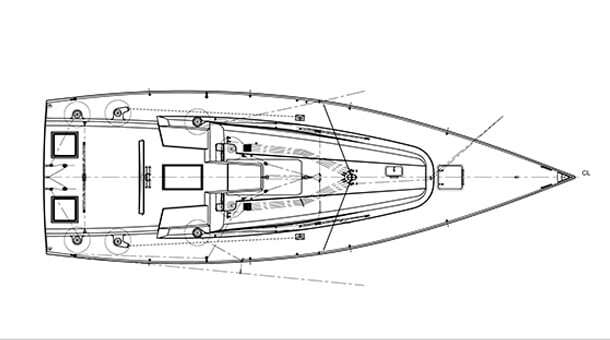 The interiors are integrated into the hull structure, and in the central part includes keel box and relevant structure; the open space concept contributes to give a feeling of openness, despite the maximum beam limited to 2.50 m due to transport regulations it is very suitable for short cruises, with double berth at bow, two single side berths in the central area which acts also as saloon benches, just behind the counter with sink, stove and icebox. 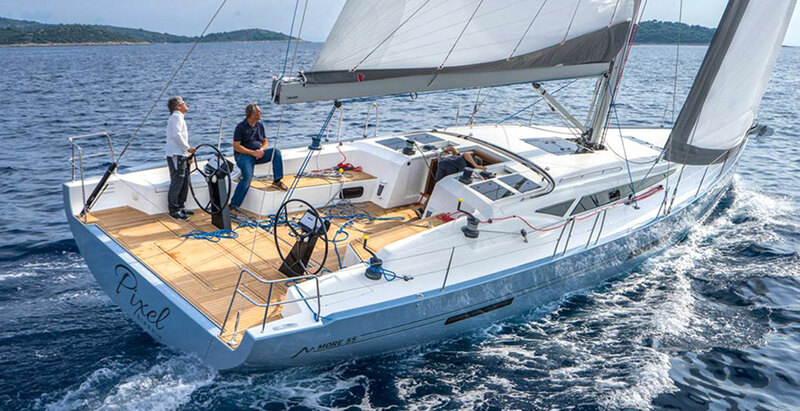 The first boat was initially equipped with electric propulsion, and so 100% eco compatible batteries, while the following had a more traditional diesel inboard. 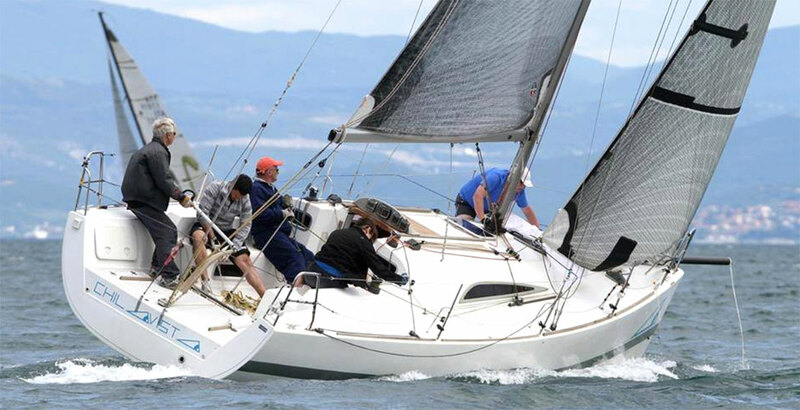 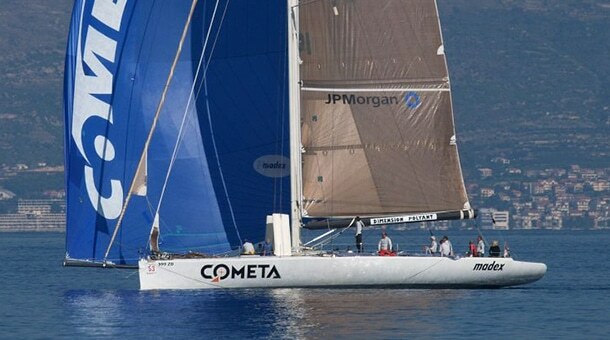 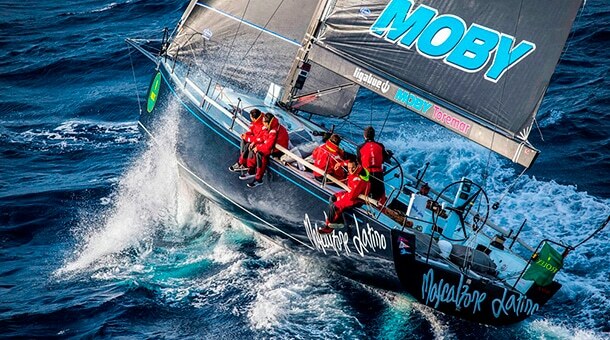 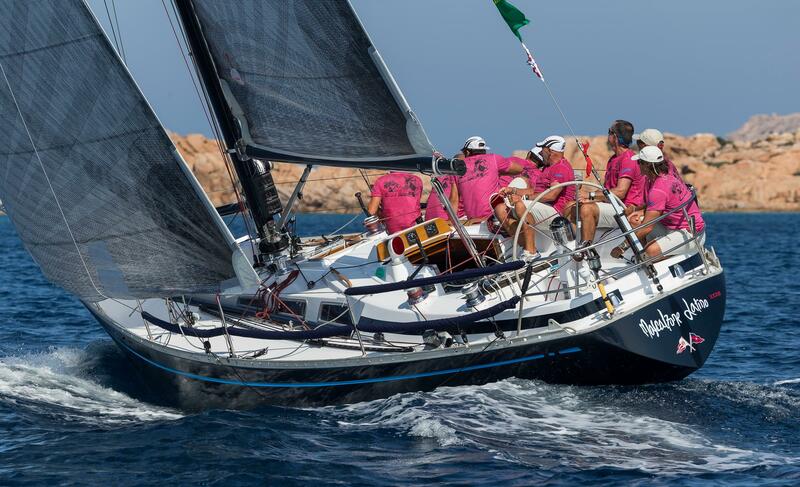 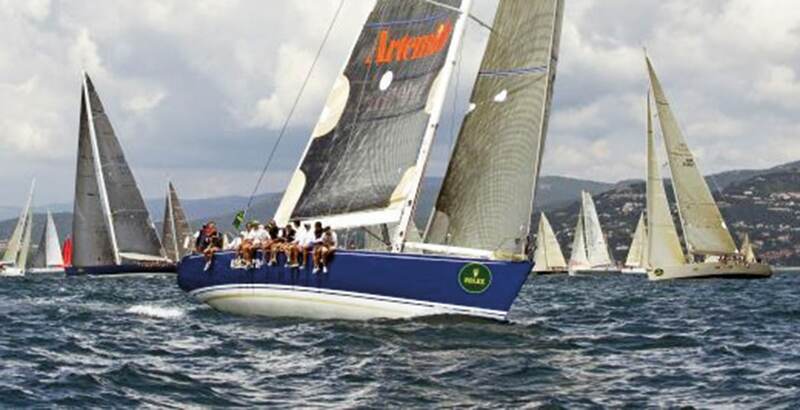 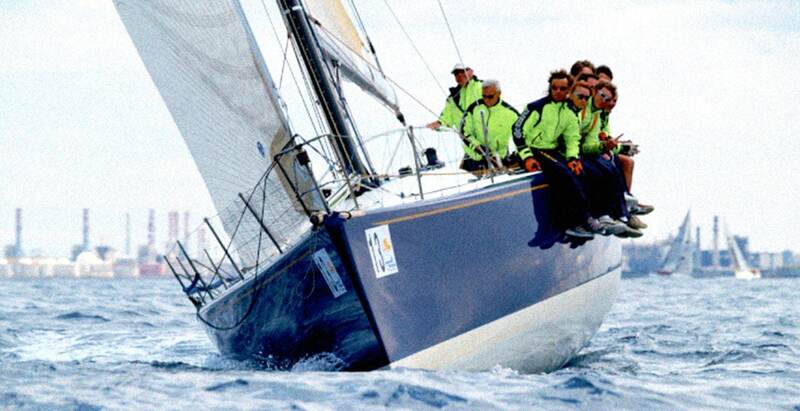 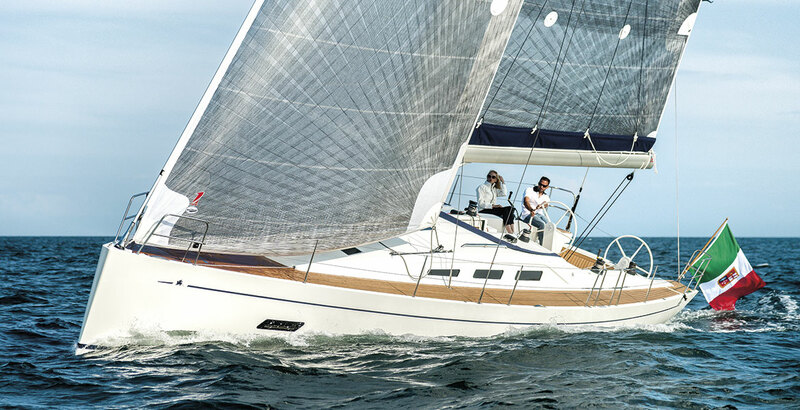 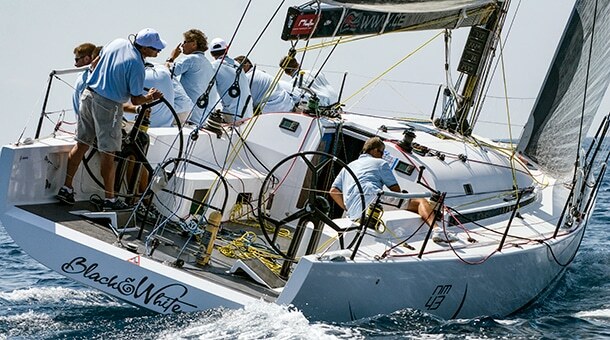 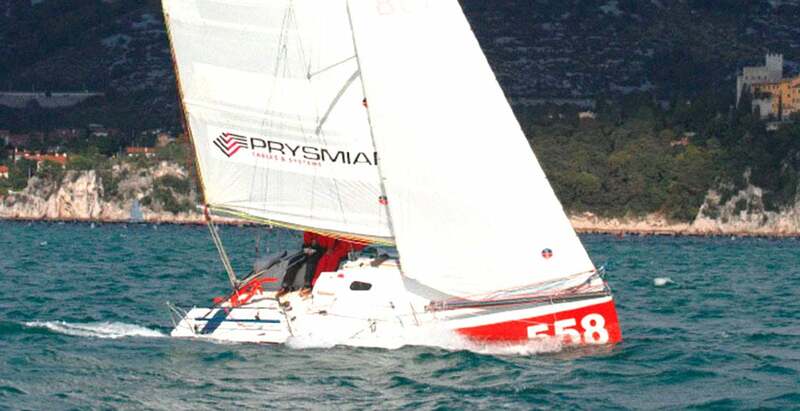 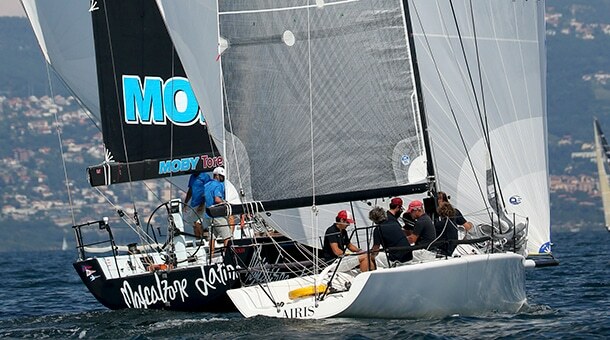 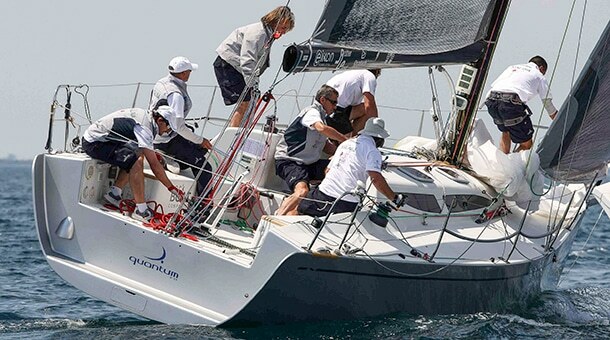 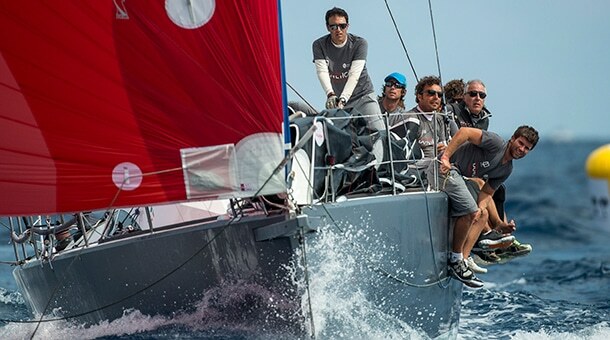 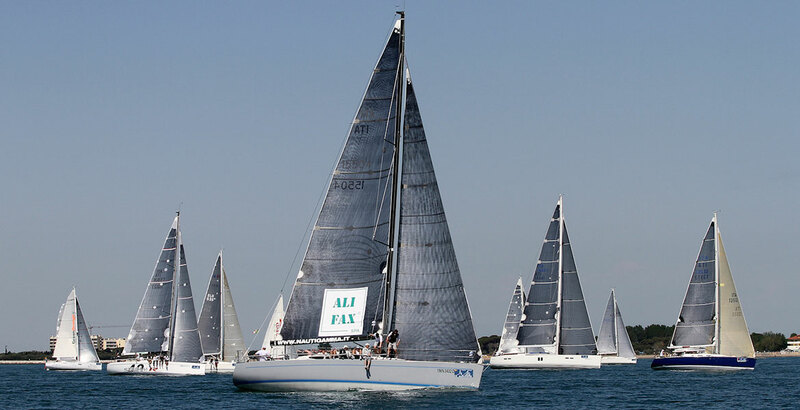 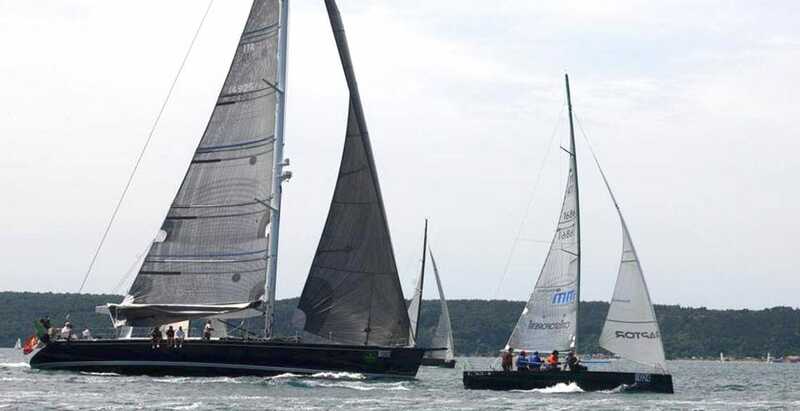 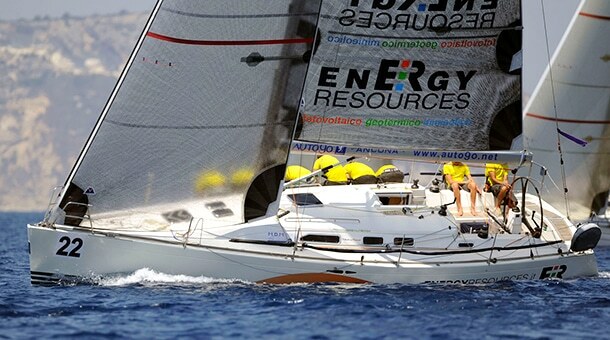 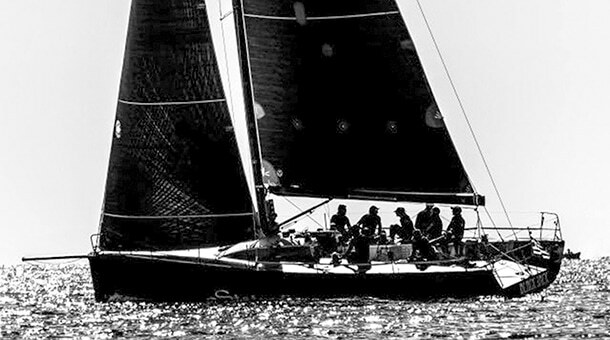 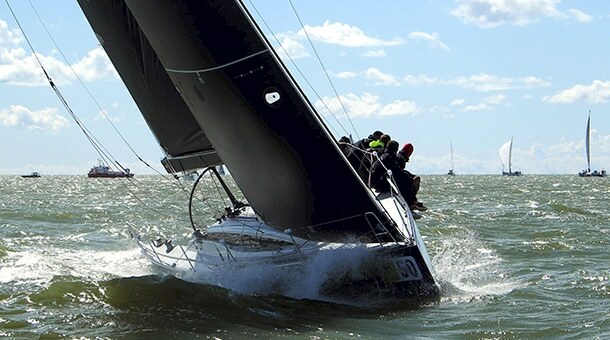 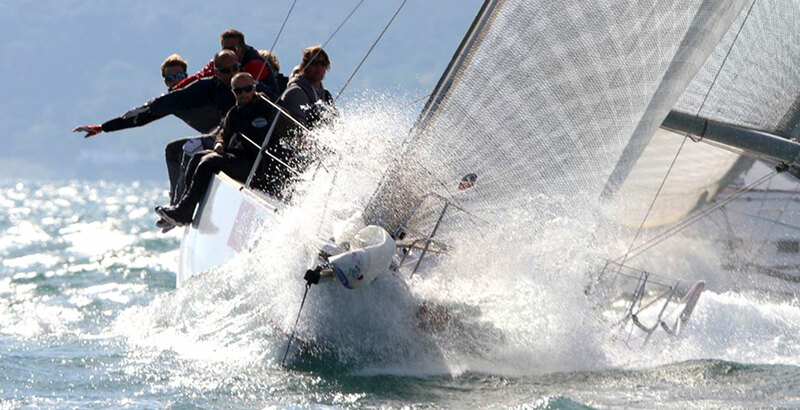 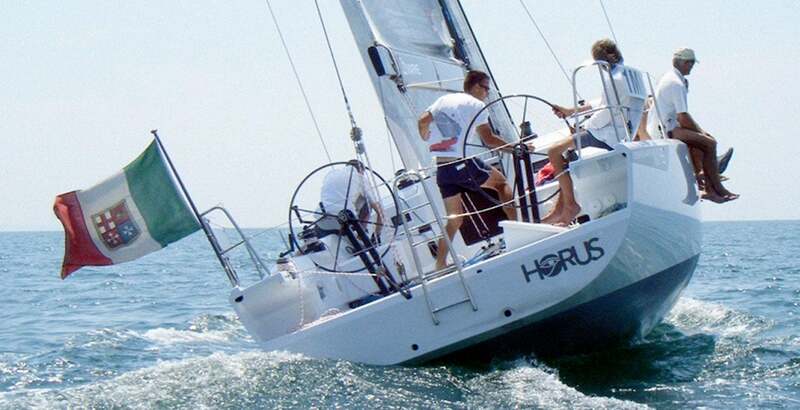 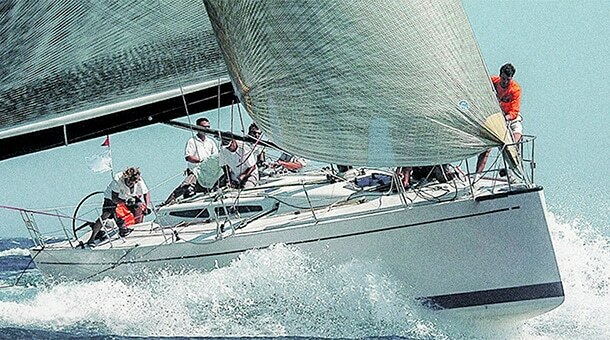 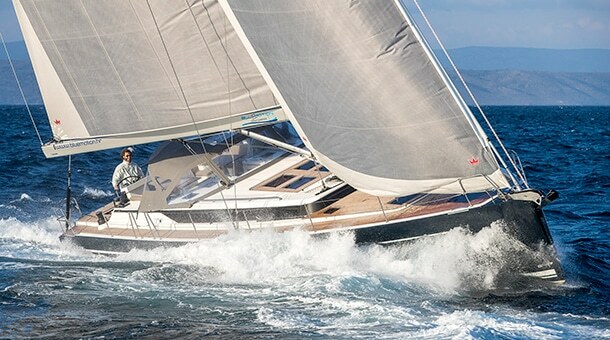 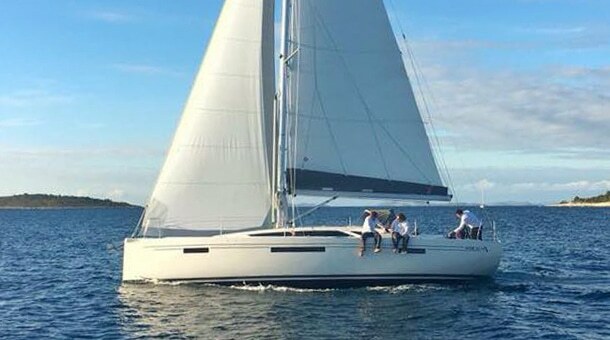 Despite the Feet 30 was originally designed to be used on lakes and coastal shores, nevertheless in 2015 “Fortissimo”, with his Japanese owner passed the strict safety requirements of the Transpac Race from Los Angeles – Honolulu, 2.225 nautical miles in open ocean, being the smallest boat in the fleet, and successfully completed the race.